Fiduciary Care - Should Be A Must, Not A Choice! 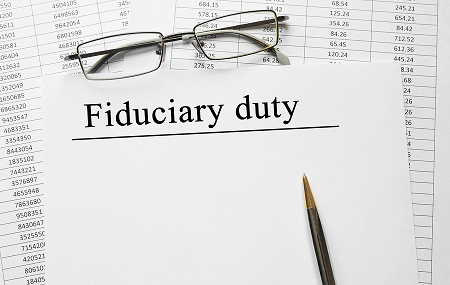 What is the difference between Fiduciary Standard and Suitability Standard? Fred, age 64, is planning to retire at 65. He’s not sure if he’s going to take Social Security now, at full retirement age, or wait until 70. His wife, Susan, is 61 years old, and she plans to retire at 62. They have reasonably sized 401(K) accounts that will eventually be rolled over into IRA’s. Susan also has a Roth IRA that she inherited. Fred is expecting a reasonably-sized inheritance in a few years. Their goals include selling their personal Bay-Area residence and taking the proceeds to purchase a home in another state. They would also like to eventually leave their assets to their adult children (Fred has a child from a prior marriage that he plans on leaving assets to). Fred and his wife clearly have several planning issues. These include a) decisions affecting social security and corresponding income benefits, b) Timing of Roth and IRA distributions, c) Sale of personal residence and resulting tax liability, d) Inheritance impact on overall investment risk tolerance and e) estate planning issues. Acting in Fred and Susan’s best interests would be to identify strategies that will help them pursue their objectives in the most efficient manner. Acting in the adviser’s best interests would be to identify strategies that will help the adviser reach his or her financial objectives in the most efficient manner. If the “Suitability” standard were applied, for instance, any product that would provide “retirement” income to Fred and Susan in the future (with downside protection) would probably be considered suitable for them. The facts are a) they are retiring soon, b)they will eventually need income, and c) they certainly would like to protect their income. But is it in their best interests? That will depend on several things, but ultimately placing oneself into the Client’s shoes and asking “What do I expect from my financial adviser?” will make the best interest question easy to answer. For instance, will a thorough analysis be completed on their available Social Security claiming strategies before any product is offered? Fred could delay his benefits until age 70, which will increase his eventual benefits by 8% per year until age 70 (i.e., $2,500 at age 66 will be $3,300 at age 70). Fred’s higher benefit amount will also provide an increase in Susan’s survivor’s insurance as she is eligible to receive Fred’s benefit amount if he predeceases her (if it is higher than her own retirement benefit). Will they liquidate the Roth IRA before withdrawing from traditional IRA’s (minimum distributions required at age 70 ½)? Will the investment vehicles proposed be low-cost? Tax efficient? Once a strategy or product is selected, is the product the best alternative with regards to price and effectiveness? The above is a brief example of the many moving parts in an individual’s financial situation. Working in a client’s best interests requires extensive knowledge in all major areas of financial planning – investments, tax planning, retirement planning, social security planning, asset preservation and protection planning. Carr Wealth Management, LLC, is qualified and eager to help you pursue your financial vision. The company’s founder, Anthony B. Carr, CPA, CFP™, MBA, has been legally required to act in a fiduciary role for the past thirty years as a CPA, and for the past nineteen years as a Certified Financial Planner Professional. Carr Wealth Management, LLC, is a registered investment advisory firm, which is also required to assume a fiduciary role. Please contact us if you have any questions or would like to schedule a no-charge initial consultation.